Status: A Scientific Consortium. Independent research Centre, Museum and Library as well as Biological Station and Research Laboratory (BSRL) [established on 15th July 2008]. Corresponding Address (temporary): Prof. Dr. Ahmet Ömer Koçak, c/o Yüzüncü Yıl Üniversitesi, Fen-Edebiyat Fakültesi, Biyoloji Bölümü, Zeve / Kampus Van / Turkey. Aim: Organizing and realizing the international researches regarding the taxonomy, nomenclature, morphology, ecology, biodiversity, conservation, bibliography, checklists, catalogues of the Insecta, especially Lepidoptera of the World, as well as the publications on the regional faunas. Activities of the CESA between 1975 - 2010 in the World: Turkey, Balkan States, Spain, Iran, Kazachstan, Kirgizistan, Uighur Ili, Pakistan, Philippine Islands, Ethiopia, South Africa, Thailand. 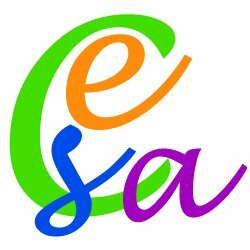 Planned activities of the CESA in future: Turkey, Africa, South America, Central Asia. Prof. Dr. Ahmet Ömer Koçak : Curator of the Collections of the CESA - Editor of the Serial Publications, Miscellaneous Papers, Memoirs of the CESA, Cesa News, Iconographia Insectorum, Cesa Books International, Coordinator of the international expeditions and projects - Scientific contributor to the Serials of the CESA - Coordinator, developer and contributor of the databank of the CESA - Scientific photographer, Web designer, developer of the CESA - Coordinator and developer of the multimedia programs of the CESA, video mixing, recording and publishing. Member of the staff of the Yuzuncu Yil University, Van, Turkey. Dean of Faculty of Science, Head of the Department of the Biology. Asst. Prof. Dr. Muhabbet Kemal Koçak : Curator of the Collections of the CESA - Editor of the Serial Publications Priamus and Priamus Supplement of the CESA- Scientific contributor to the Serials of the CESA - Scientific Video camerawoman on wildlife of the insects, esp. butterflies and moths and their behaviour, natural environments in the world; video mixing and recording. Member of the staff of the Yuzuncu Yil University, Van, Turkey, in the Department of the Biology, Faculty of Science and Arts.